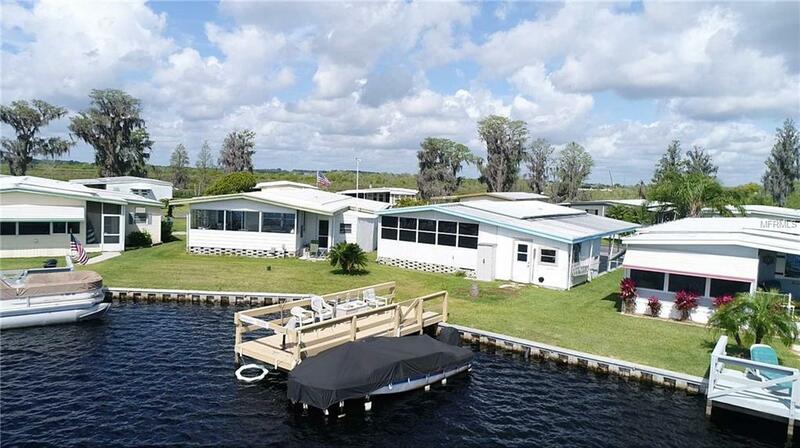 DIRECT LAKEFRONT with dock and deck over the water! Bring your boat and truly enjoy your days or evenings on the lakes! Access to the chain of lakes from this one out your back yard! 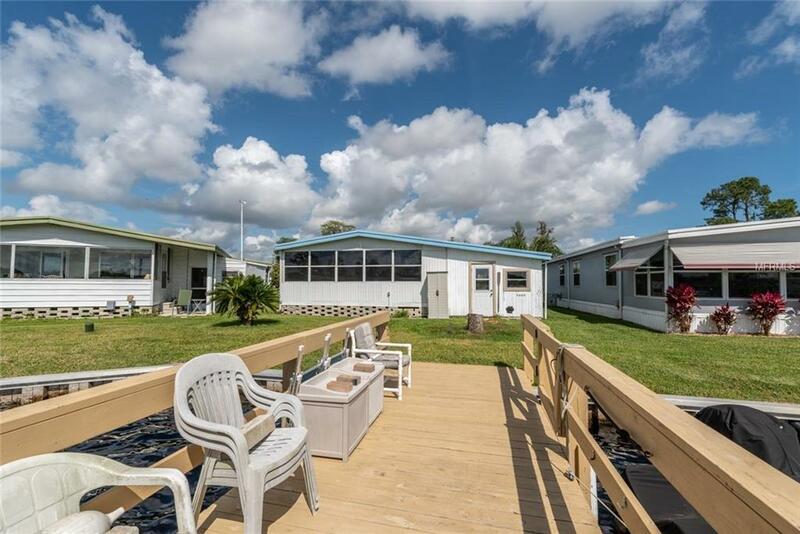 This 2 bedroom 2 bath unit is well maintained, has a huge family room overlooking the water for those incredible views, plus formal living views as well! Kitchen is fully equipped, including refrigerator. There is even a washer and dryer in the attached storage area! deep carport for your vehicles, bring a golf cart for toodling around in the community or to get to the recreation building and facilities! PLay some shuffleboard or bocce ball, relax in the common areas outside or go inside the building and relax at the library, play some pool, or participate in events. Need a space for a gathering? Rent out the community room! 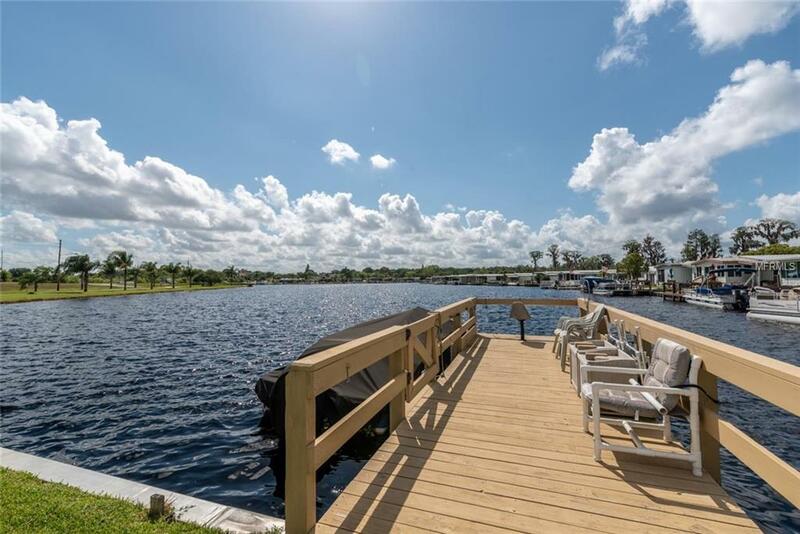 Launch your boat at the community ramp/marina area and fish to your heart's content by boat on the Clermont chain of lakes, or off your own dock in your backyard. Large master bedroom with walk-in closet. Plenty of storage at this home as well with the attached workshop/storage area and shed. Fantastic location in city limits of clermont and within 1/4 mile of shopping, services, and less than 4 miles to major shopping centers including movie theaters, large departments stores and about any restaurant you can think of. 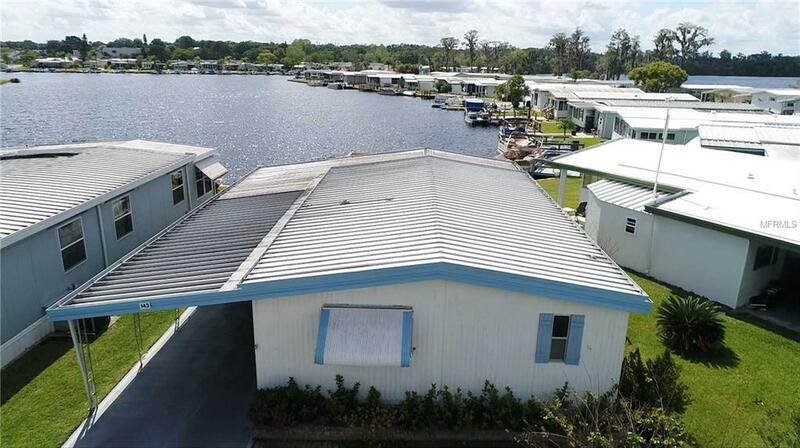 Perfect home for year round residents or snowbirds! Please watch interior/drone video above the main photo, then hurry and come see this before someone else does! Additional Water Information Lake Palatlakaha Goes To Lake Minneola And Minnehaha Etc. As Part Of Clermont Chain Of Lakes.